Major tourist attractions include the imperial palaces of the Hofburg and Schönbrunn – approximately 7.3 million people visited these former homes of Habsburg royals in 2012. The world’s oldest zoo, the Sissi Museum, the royal jewellery collection, the Habsburg tombs, and the Spanish Riding School are all located at these palaces. Set aside 3 days to fully enjoy the splendor of Schönbrunn and the Hofburg. Schloß Belvedere, the former home of Prince Eugen who won dozens of battles for the Habsburg Empire and secured their supremacy in Southeast Europe, is also a must see in Vienna. Klimt’s “The Kiss” is the crowning glory of this palace turned museum. Other highlights include the Burgtheater, the Vienna State Opera, the Vienna State Library, the Albertina, the amusement park Prater and its 1897 Ferris Wheel, the Ringstrasse and the Vienna Boys’ Choir, just to mention a few. Other important sights are Schweizerhof, Heldenplatz, Ring Street in general, the historic 1st district, numerous churches, palaces, Museumsquartier, Hundertwasserhaus and much more. If you would prefer not to spend weeks upon weeks exploring Viennese sights? We got the right thing for you. 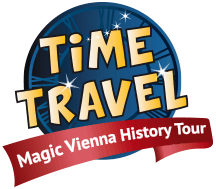 Enjoy a 50 minutes long 5D show, trip, theatrical and museum-like experience about Vienna. Located in Vienna’s second district, the Wiener Prater, or “Wurstelprater” as it is sometimes known, is the world’s oldest amusement park. Entrance is completely free of charge and it is open 10am til midnight everyday, 7 days a week! The amusement park is open from 15th March – 31st October each year, though the Ferris Wheel and surrounding parks and restaurants are open all year round! 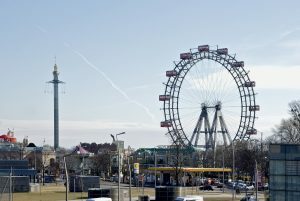 Wiener Riesenrad, Liliputbahn, and Praterturm are just some of the attractions the park has to offer, for a full list of what’s available, check out their website HERE! Expect to be bamboozled by the variety of shopping possibilities in Vienna. You can find elegant boutiques, department stores and most of the famous chains, but also a diverse range of specialty shops in the city center and its surrounding districts. And if you need a break from all that shopping, there are plenty of restaurants, bars and coffee houses everywhere. In Vienna’s center, you can find the most fashionable shopping streets. For example, the Kärntnerstrasse, which connects the Opera House to St. Stephen’s Cathedral on Stephansplatz, is situated here. 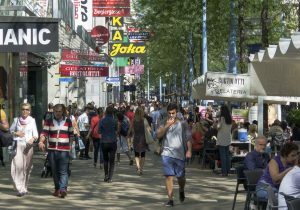 From Stephansplatz to the West, you can also find the upmarket Graben and, a little bit further, the Kohlmarkt, where you can find a lot of designer labels. Sometimes, this area is called “the golden quarter”, so have your wallet ready and shop on! 😉 Of course you can also find a lot of souvenir shops and mainstream stores all over Vienna. Don’t forget that most stores are closed on Sundays! Kärtner Strasse stretches from the Opera house (U1,U2,U4 Karlsplatz) to Stephansplatz (U1,U3 Stephansplatz) and is one of the most popular shopping streets in Vienna. The street is home to a diverse range of upscale stores of a great variety (think: jewelry, books, music, fashion, stationery…) as well as souvenir booths, restaurants, bars and even the Vienna Casino. Even emperor Franz Joseph already travelled the Mariahilfer Straße, when he wanted to go back and forth between Schloss Schönbrunn and the Hofburg. This street connects the Ringstraße to the Gürtel and spans about 2 km between the sixth and seventh district. Today, this is probably the most beloved shopping street in Vienna, offering an interesting mixture of goods, appealing to different audiences, in basically every price range. This big shopping street with its wide bystreets has attracted hundreds of shops, including flagship stores of international companies, especially focusing on fashion, shoes, accessories and home decor. Since the Autumn of 2013, the Mariahilfer Straße is partly pedestrianized. A trip to the modern Gumpendorfer Straße in the sixth district, a little bit South of Mariahilfer Straße will also be worth your while! 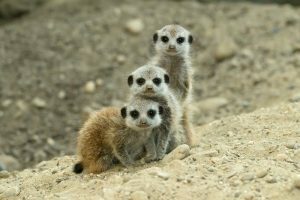 Open 365 days a year, even on holidays, Tiergarten Schönbrunn, or “Vienna Zoo”, is the oldest continuously operating zoo in the world! The zoo is located in the grounds of the iconic and beautiful Schönbrunn Palace. It is easy to reach by public transport on the U4, tram (10, 58, 60) or bus (10A, 51A, 56A, 56B, 58A) there you can watch feedings throughout the day from elephants to penguins and everything in between! Maybe take the panorama train to see all the glorious sights nearby, including the Schönbrunn palace and its beautiful surrounding gardens. All that plus an abundance of cafes, restaurants and beer gardens within the zoo, so you certainly won’t go hungry or thirsty during your trip! Viennese and international specialties are available, often with great views of the animals so you can still enjoy them while you eat!